Motor and Transmission Mount Set, Poly 75D for BMW E36, E46, Z3, Z4. The stock motor and trans mounts deflect as torque moves through the drivetrain, allowing the motor and trans assembly to move. 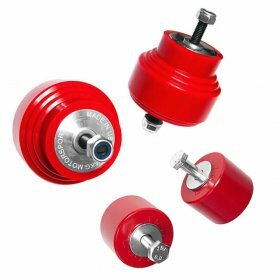 These bolt-through style polyurethane mounts will eliminate virtually all of the movement of the engine and transmission under load – increasing power transfer to the rear wheels. Our exclusive design incorporates the factory offset position necessary for a proper fit, consists of multiple parts and is fully rebuildable. 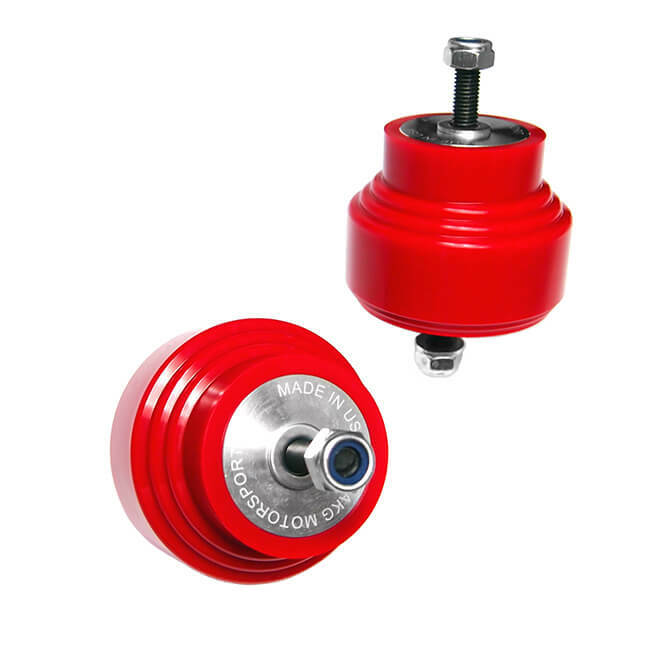 These extremely hard race-spec 75D durometer polyurethane motor and trans mounts are the hardest available (aside from solid aluminum) and the best option for race classes where solid mounts are not allowed, or for those who do not wish to deal with the issues that may arise when using solid mounts. Our U.S. Military Spec 75D durometer compound is as hard as a bowling ball, yet has elasticity and memory. This exclusive compound allows us to manufacture a mount that has virtually the same performance as a solid mount without the harshness on the brackets/chassis associated with solid mounts. Likewise, its elasticity and memory means they are also free from deformation which plastic mounts (Delrin, UHMW) are very prone to. Made of our exclusive U.S. Military Spec polyurethane (75D hardness) and CNC’d 6061-T6 aluminum. Rebuildable, bolt-through style. Hardware Included. Set of two motor mounts and two trans mounts. Engineered for a perfect fit. 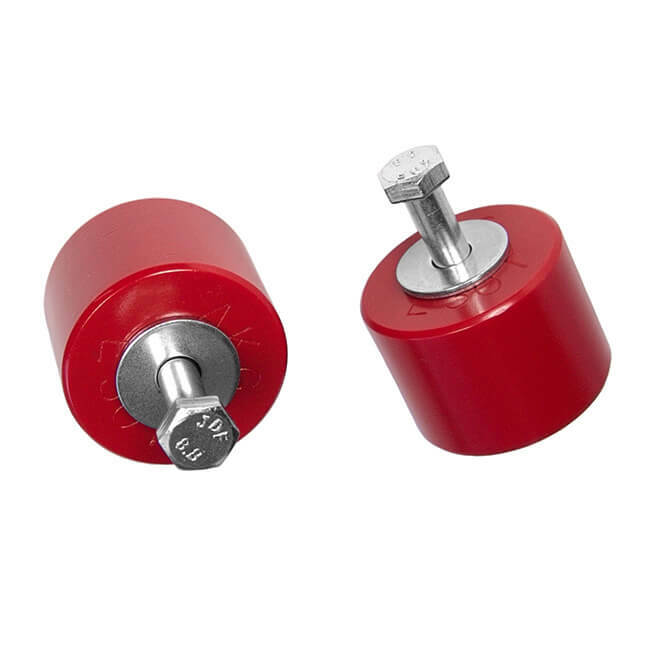 Read why our polyurethane mounts are the highest quality mounts available.